In my experience, having a chronic diagnosis is like being given a badly trained, enormous, ill-tempered and exotic dog. Think Newfoundland crossed with a Mastiff. Now imagine knowing nothing about caring for dogs, having no time to train one and living in a small space with a your family of 4. Your job is to keep it healthy, train it somehow, stop it from destroying everything, still do all your usual life stuff and leave the house dressed and with your hair brushed. Essential oils are plants that have been distilled into a highly concentrated liquid. They therefore contain the compounds that keep plants alive and let them thrive. In humans they support body systems, health and well being. I started using essential oils over a year ago now and since then there are been a quiet, but steady, revolution happening in our house. 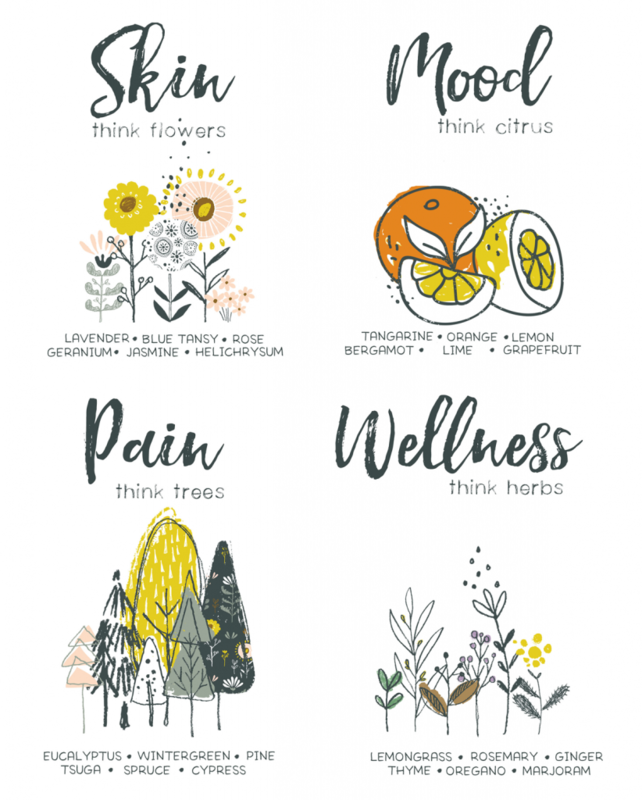 Oils are now are our go-to for cleaning, medicine, stress relief and pretty much everything else – but why did I choose oils?